There are lot of job opportunities after completion of SEO training. Many of the opportunities are to work from home while some others are to work in corporate offices. Starting your own online business is another option if you want to get in to entrepreneurship. Learn more about various opportunities available after training in SEO and Internet Marketing. In this era of internet, almost every business has a website and most of them get business through internet. Most companies who depend on websites and internet to promote their business do not have sufficient expertise to promote their business online. This is a great opportunity for SEO experts. If you have good SEO skills, you can get a job as an SEO expert in many companies who want to tune and optimize their websites and promote their business online. 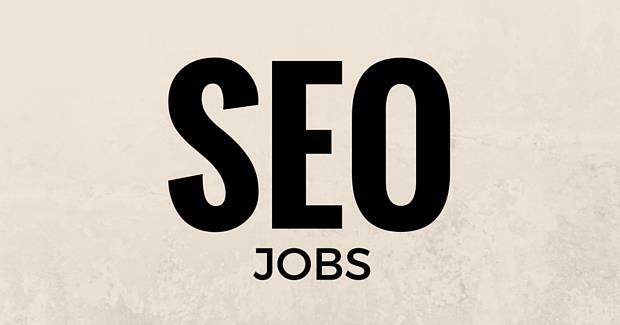 You can search in Google for SEO Jobs and you can see hundreds of jobs listed. One of the biggest advantage for SEO experts is, this field is still not saturated. There is a big shortage for SEO experts. Not many universities offer any course in SEO and Internet Marketing. Take the example of India. Our country has several universities offering hundreds of courses but you cannot find a single university course in SEO and Internet Marketing. There is huge job opportunities for SEO experts, but our universities have failed to be proactive and offer any university certification courses in SEO. Many companies are hiring SEO experts to tune and promote their websites. Many of these jobs are work from job since SEO can be done from anywhere without much dependency on others in the office. SEO Services include a wide range of services including Link Building, Keyword research, guest article writing etc. This is a good internet job opportunity if you have acquired some SEO skills but do not have superb writing skills to write great content. Link building is part of SEO and most companies and webmasters want to get this done to promote their online business and websites. Typically, this include writing comments in other blogs indirectly promoting the business of your client, writing guest posts in various websites mentioning your client in the post etc. SEO Professor's SEO training in Ernakulam cover Link Building in very comprehensive manner and will teach you all aspects of building links to promote a business or website online. Keyword research is nothing but identifying the best keywords to promote in a website/blog to get the maximum results. For example, consider the website of a "SEO training center in Ernakulam". If the promoters of the training center want to optimize the site, they will need to know what keywords people are searching in search engines so that they can tune the site accordingly. In this case, people who are looking for SEO training in Ernakulam will search for various combinations like "best SEO training centers in Ernakulam", "Top SEO institutes in Ernakulam" etc. It is important to know what most people will search and optimize the content accordingly. This is a very simple example and most people can easily guess what are the terms usually searched. But in many other cases, it require some analysis to find out what the potential customers will search in a certain niche so that their websites can be tuned accordingly. This kind of analysis is called "Keyword research". There are various tools available in market to help in this research. There is good demand for people with experience in keyword research. More than an individual job, this type of job is usually combined with other SEO Services and Internet Marketing jobs. The training courses at SEO Professor cover Keyword Research and other relevant topics. Online data entry jobs have been there for quite a long time. However, in last few years, there were lot of fraud happening in this area. You could see job advertisements everywhere claiming 'earn huge money from home by typing'. From what I learnt, most of those offers are fake. Most of them require you to pay an upfront money to join them. Most companies offer huge money for data entry job but require you to meet some criteria that is unrealistic. You will never be able to meet the requirements and so you will never make the money they offer. Data entry jobs are good only for the people who could not do well in SEO and who do not have good English writing skills. If you have good English writing skills, you can choose one of the other job opportunities instead of data entry work. Also, data entry work require good typing speed. Internet Marketing is nothing but promoting some product/service/brand through internet. There is huge number of job opportunities in Internet Market. This kind of job require all of the skills mentioned above including SEO skills, Keyword research knowledge, link building, article writing and so on. In most cases, this is more like a managerial job where you coordinate various internet marketing activities such as link building, guest posting etc. You should have in depth knowledge on all of these and should be able to guide people to perform these tasks with long term goal in mind. This is more like a result oriented job and you will need to demonstrate successful projects before big brands trust you and offer you the job of Internet Marketer. The 1 week training courses at SEO Professor is meant to build a career in Internet Marketing. It is hard to achieve much internet marketing skills through the 1 or 2 day courses. You must choose atleast a 1 week course and then practice individual skills so that you can eventually build a career in this field. If you attend a 1 month training course, we will train you on all aspects of Internet Marketing with practical experience in running successful internet marketing campaigns. Drupal is very powerful. I think, if some one don't mind to make their hands dirty by tiynrg to modify or write new code, Drupal is the best to create web pages.